Returning to the crime scene after a decade away from the page, Kiwi-Irish author Julie Parsons offers readers a rich story that has many aspects of Ireland's complicated history woven throughout. 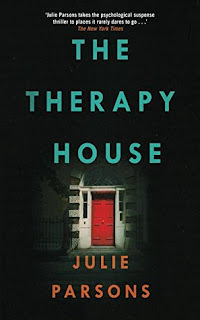 More absorbing than page-whirring, THE THERAPY HOUSE meshes a crime tale with a deep dive into the ongoing impact of violence and trauma on survivors and families at an individual level, and more broadly at a collective and national level too. This is a book that deals with complex issues and tough questions that don't have clear answers. Not your standard airport thriller or murder mystery. THE THERAPY HOUSE has an historic murder and a contemporary murder as tent poles, though the book is about far more than those two crimes. Decades ago, McLoughlin's father was murdered when he got in the way of an IRA robbery. It still haunts McLoughlin, especially given that some who associated with the killers are now hailed for their parts in the peace process and the politics of modern Ireland. Now retired from the Garda, McLoughlin moved into a crumbling Victorian near the seaside outside of Dublin, known as 'the Therapy House' due to its history with counselling and medical practice. Next door lives a retired judge with a near-aristocratic pedigree in Irish terms: John Hegarty had a distinguished and influential legal career in his own right, but even more importantly, he was the son of Dan Hegarty, who had fought alongside Michael Collins before becoming very successful in business. But someone wanted the judge dead, and McLoughlin discovers his brutalised body. The judge's family hire McLoughlin to look into aspects of his life, seeking to keep the judge's chequered past private. Information relating to the murder of McLoughlin's father is dangled as bait. This is an atypical crime novel, with a lot going on. Plenty of layers, lots of thought-provoking issues that are dealt with subtly rather than bluntly. Questions are raised, not always answered. Situations are messy and grey. Parsons lets things unfold in a leisurely, measured pace, giving readers time to absorb things rather than skimming over them. She crafts a really vivid sense of the world her characters inhabit, and the ways in which the past is inextricably tied to the present. Unusually for a crime novel, many of the main players are in their later years. They carry the weight of that past with them. There's a tangible sense of all their accumulated history and experiences. The compromises made, the regrets, the glories and failures that have passed yet faintly linger. There's a fascinating interplay between characters who've experienced so much. 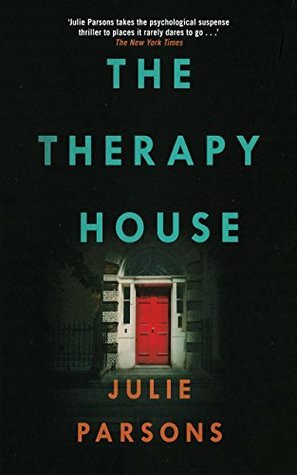 THE THERAPY HOUSE is a clever and thoughtful crime novel told in stylish prose that is about so much more than the murders of two Irishmen, decades apart.